Hello world, thank you for taking the time to read more about me, Reginald Young. I am senior at Indiana University of South Bend. Like many college students, I constantly changed my mind and my major, but I believe that that form of indecisiveness helped create the well round-rounded individual that I am today. I am a General Studies major, with a concentration in science and math, and I also have minors in Business Administration, Marketing, Psychology, Sociology, and Sustainable Development. Upon graduation, I plan on helping businesses understand how to bring their employees, profit, cost, and company sustainability into one interlocking model of growth. 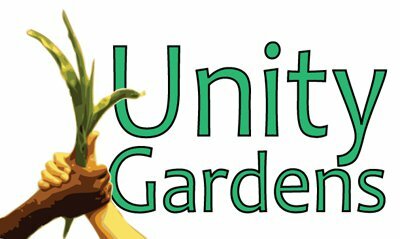 This is the first internship that I've ever had and I would like to thank Unity Gardens for the opportunity. I believe that we (Unity Gardens and I) offer each other valuable information that we may or may not have had access to previously. While interning at Unity Gardens, I plan on integrating all of my academic knowledge as well as my love for life, prosperity, and happiness to help transform and motivate sustainable development into the volunteers, the community, the staff (Yes, everyone is constantly learning!) and, most importantly, the skeptics who don't fully understand the mission and goal (s) here at Unity Gardens. I believe that I can accomplish this because Unity Gardens already has a positive foundation of support from both businesses and the community. I would like to utilize my talents by adding a new marketing aspect to Unity Gardens that gets the overall message out, while at the same time, acting as an empowering tool which would foster additional community based activities that would create new friendships and an additional sense of belonging to members in the community who may feel as if they don't belong.